Remove sausage from casing and brown in oil breaking up as it cooks. Drain and remove the sausage saving about 2-3 tablespoons of drippings. Cook the onion in the drippings until soft but do not brown. Add the garlic and thyme and cook about one minute more. Do not brown garlic. Add the sliced mushrooms and cook until tender stirring occasionally. Gently fold the cooked sausage into the mushroom mixture. Make four Alamarra Original crepes according to the package instructions. Spread approximately three tablespoons of the queso dip on the crepes. Save some for the top of the crepes. Place sausage mixture on top of queso. Top with the sausage mixture with a mixture of the shredded cheeses. 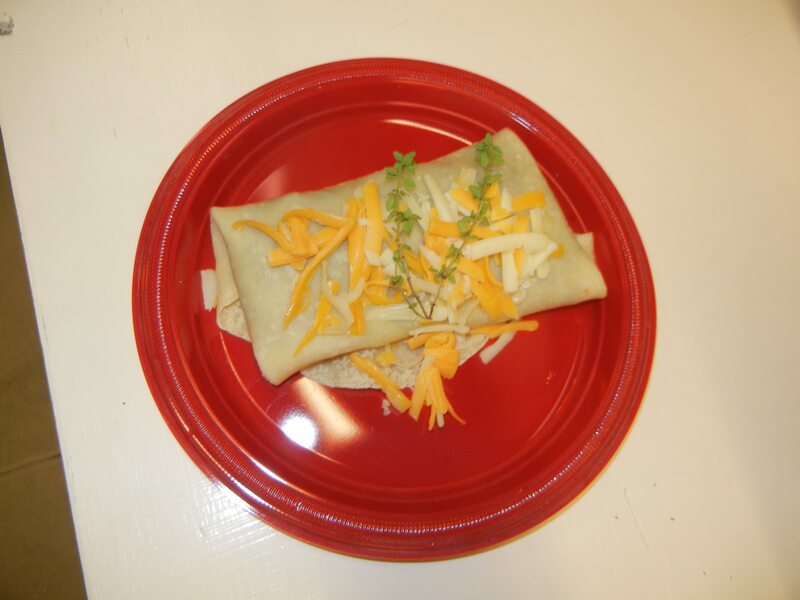 Fold the crepes to desired presentation and top with queso, heat if necessary, and shredded cheeses.